In the grocery store, I go for organic eggs with varying brown shells. The egg cup is designed by Ole Jensen for Muuto. Eating according to season is so easy this time of the year. The plums are from Sweden and they are delicious. Life is too short not to eat breakfast every day. 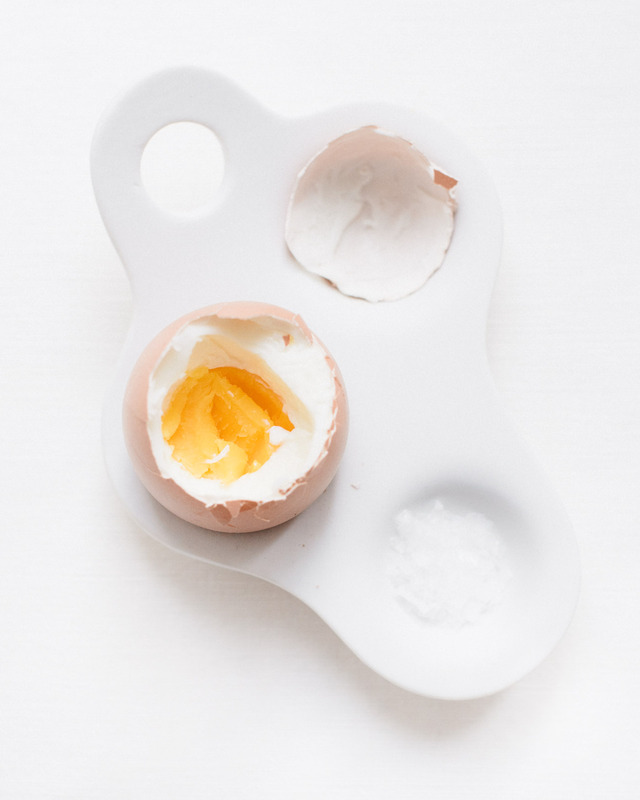 A true morning classic is the boiled egg. Since it is the simplest and purest of foods, how good it tastes is all about the quality of the eggs and, the boiling. The recipe is by Heston Blumenthal. 1. 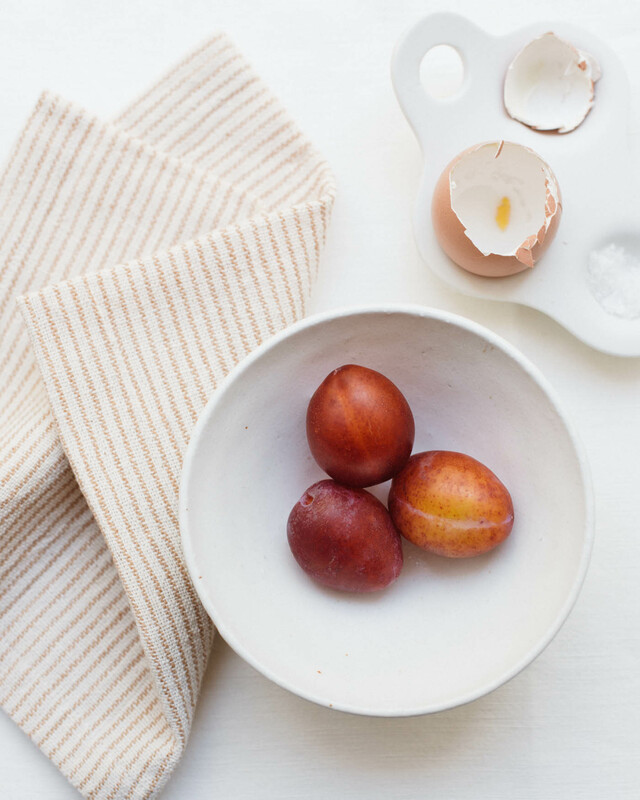 Put the egg(s) in a saucepan and fill it with cold water just enough to cover the eggs. Not even a millimeter more. 2. With a lid on, put the saucepan on maximum heat and bring the water to boil. 3. As soon as the water starts to bubble, remove the pan from the heat keeping the lid on, and set a timer for six minutes. 4. After the six minutes, remove the eggs from the water. If your timing is exact, you will end up with ‘the perfect egg’. Read the original article and instructions on The Guardian.